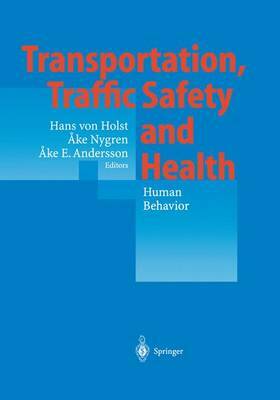 Ake Nygren Karolinska Institute, Sweden would like to welcome you on behalf of Karolinska Institute, I one of the organizers and initiators of this series of confer- ences on traffic safety. The conference we are opening today is the fourth in the series. Karolinska Institute is the largest medical university in Sweden. It is dedicated to improving health through research, educa- tion and dissemination of information and ideas. The series on traffic safety is one of the ways in which we are disseminating information and ideas on an international front. Karolinska Institute is 190 years old. The Medico Chirurgiska Institute was originally established in 1811 by royal decree after wars and cholera epidemics. In 1822, it became known by the name "Carolinska" . Amongst many other international endeavors, Karolinska Institute is perhaps best known for the nomination and appointments of Nobel Prize winners in medicine and physiology. Under the terms of Alfred Nobel's will, the prize winners are nominated and chosen by the Nobel Assembly of Karolinska Institute. During the hundred years that the prize has been in existence, several researchers from Karolinska Institute have become laureates. These are Hugo Theorell in 1955; Ragnar Granit in 1967; Ulf von Euler in 1970; and Sune Bergstrom and Bengt Samuelsson in 1982. In 1987, the medicine prize was awarded to Tonegawa from v Japan and in 1994 the literature prize was awarded to Oe Kenzaburo.